Seriously, I have never been to so many toilets in one day! And this is not even one day, but within the short span of one and a half hours! So far, my friend and I have visited the toilets from the Lower Ground floor all the way up to the third floor. 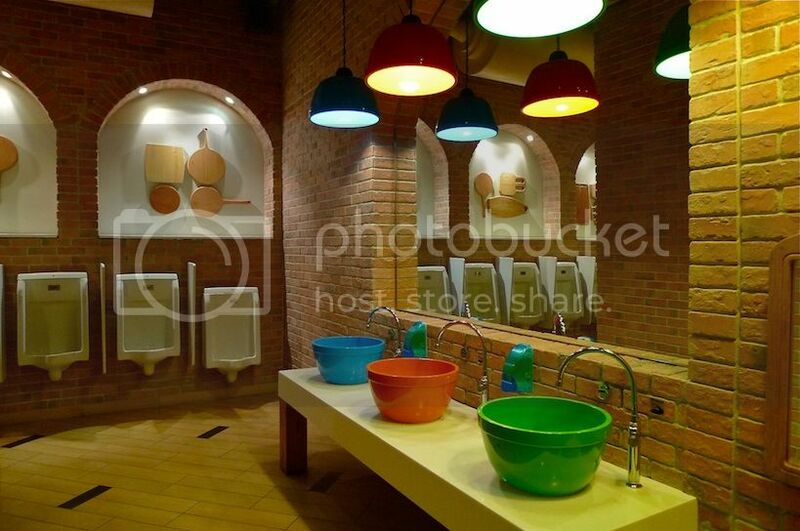 We have covered Carribean, Rome, Paris, Tokyo, London and Istanbul toilets haha! Three more floors to go and we are done. 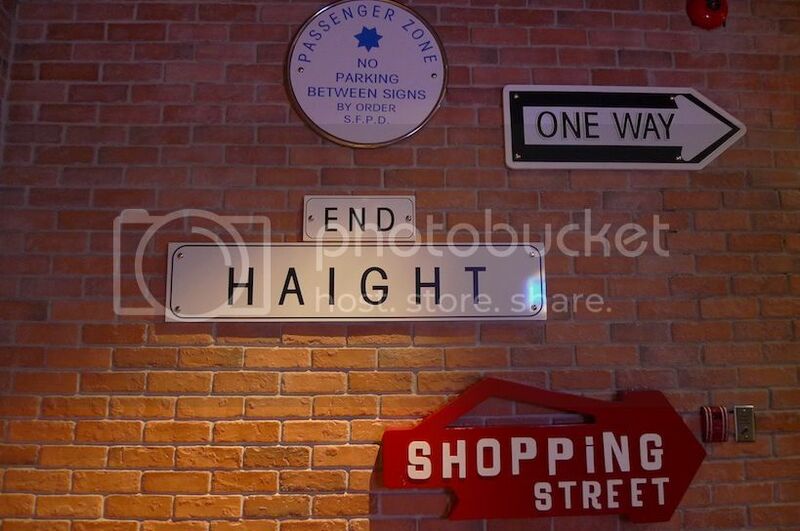 Next up, the 4th floor and 5th floor, both of which are San Francisco-themed floors. But let's start with the 4th floor. See the cute rolling pin? Brace yourself for a bigger one inside! Haha! 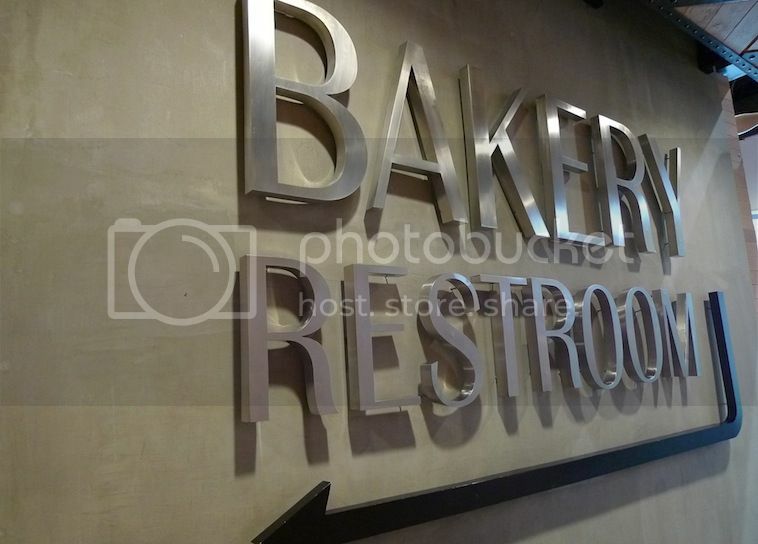 Walking along the corridor towards the toilet, we looked like we were heading more towards a bakery than a toilet! LOL! Heard of Sourdough Bread? 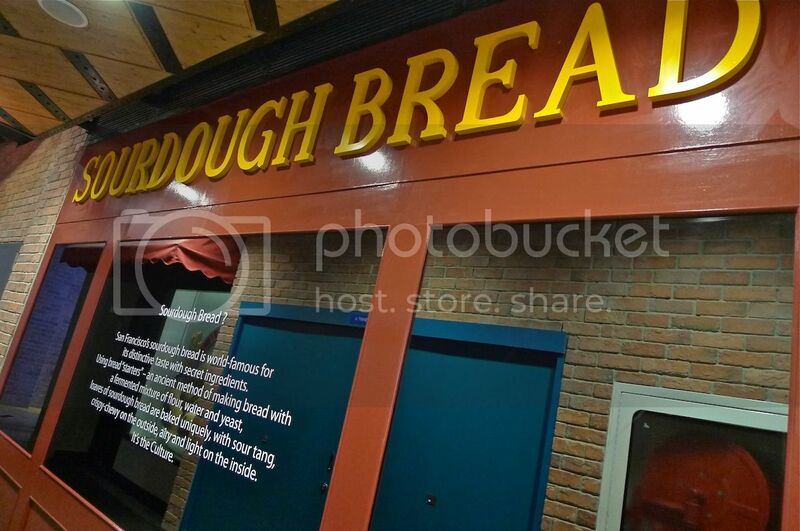 Apparently, San Francisco's sourdough bread is world famous for its distinctive taste! 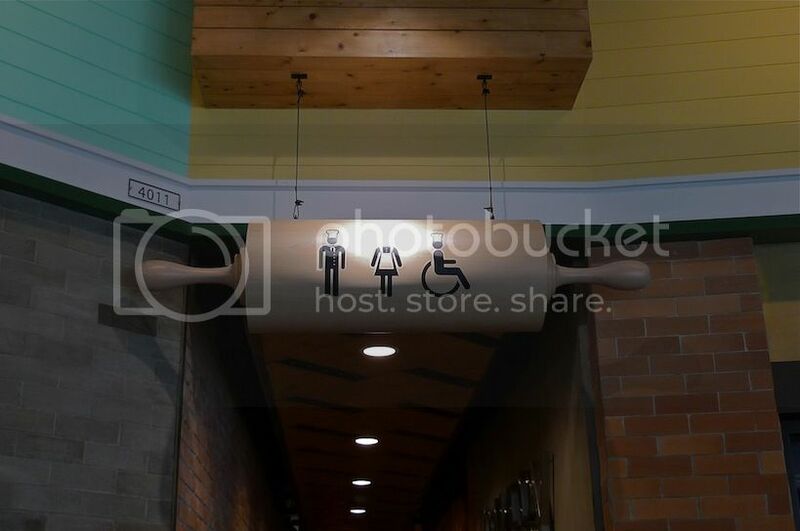 Interesting signs on the brick wall. 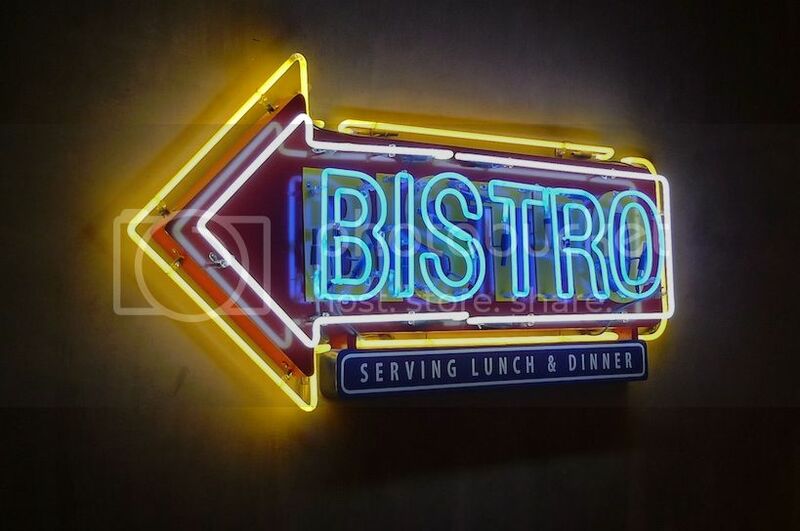 It's the way to the Bistro! Looking at the picture below, would you even guess we were actually going to the toilet? 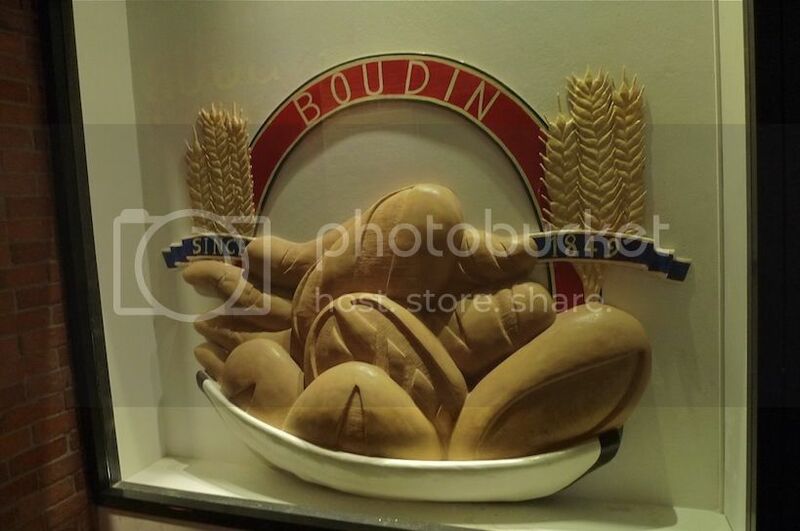 There is even a 3D image of bread! I am getting hungry! 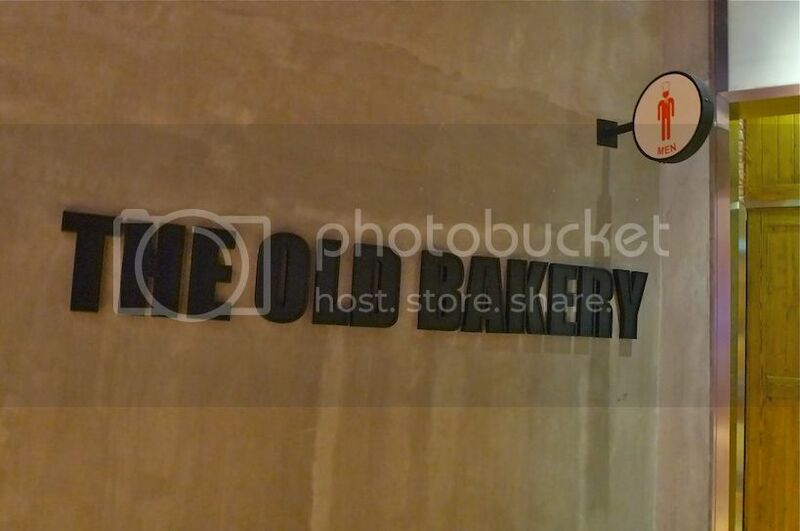 OK, we're right in front of the men's toilet door but the words THE OLD BAKERY on the wall did not seem to make much sense. Haha! 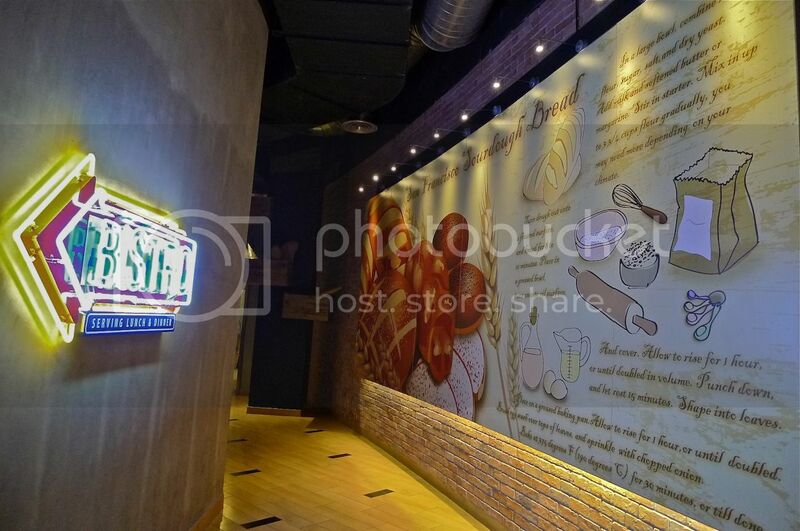 Look at those cooking paraphernalia on the wall! And even more surprising, a huge giant rolling pin above us! Wow! 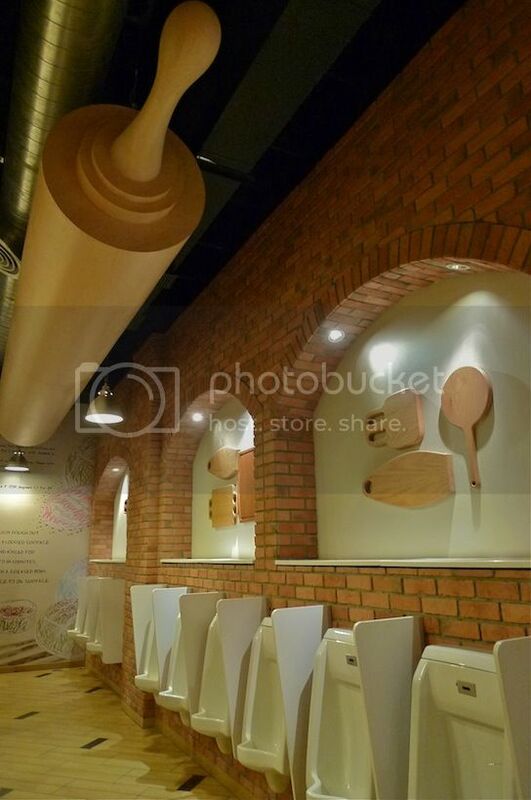 I love that giant rolling pin!! Awesome! Just don't drop on us while we are peeing at the urinals! Next, we walked up to the 5th floor. 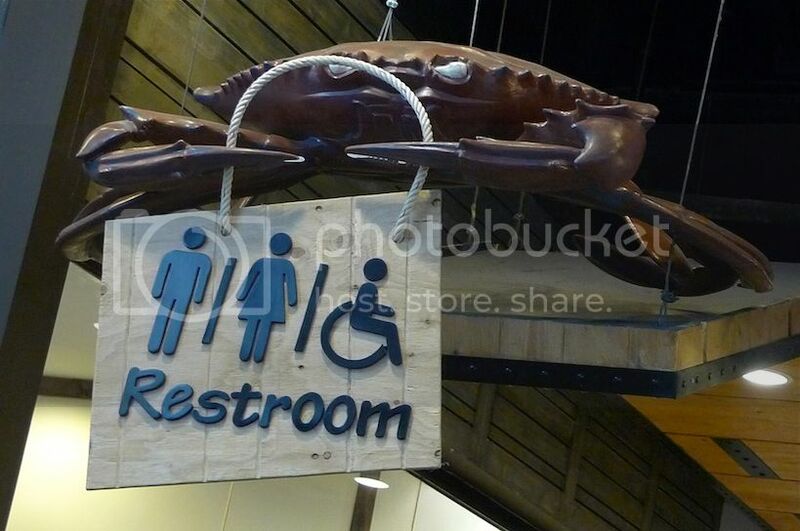 I could see a crab holding the sign "Restroom" on top of us. Why crab? My question was immediately answered. 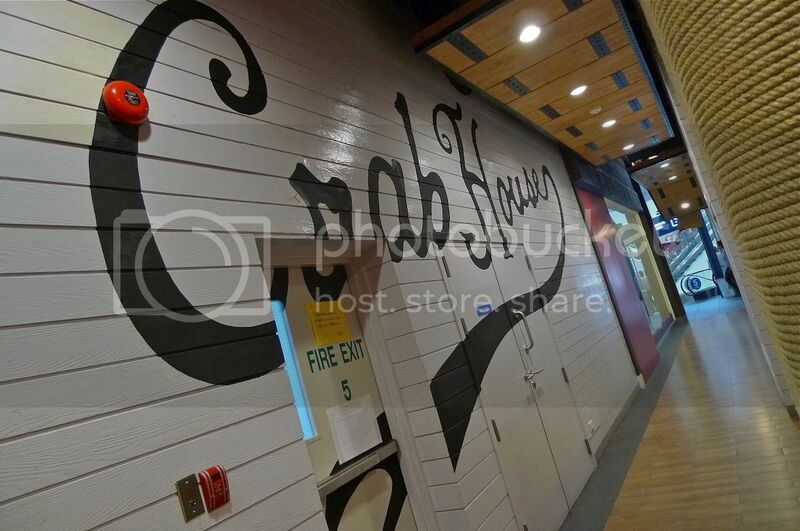 It's the Crab House, people! 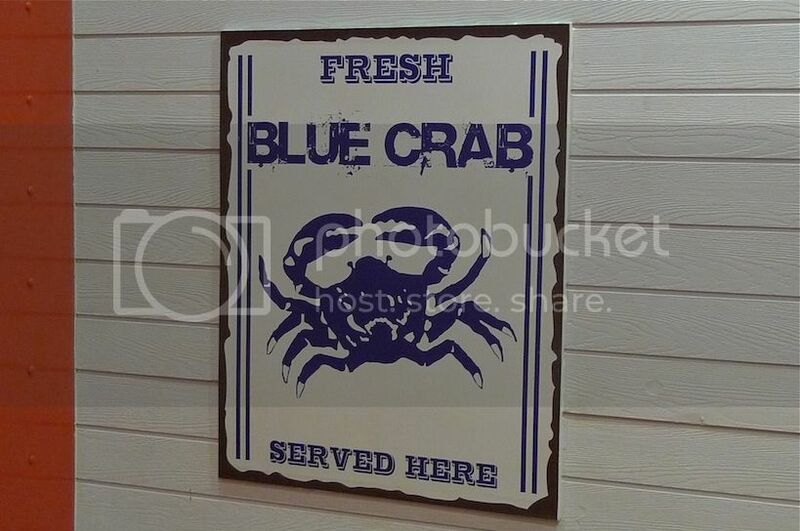 Is San Francisco famous for its blue crabs? Anyone from San Francisco reading this? 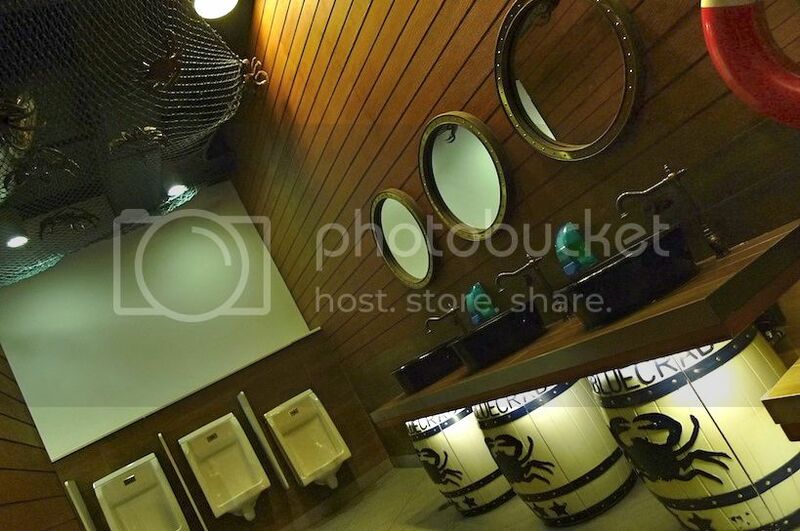 Near the toilet's entrance, we could see this. 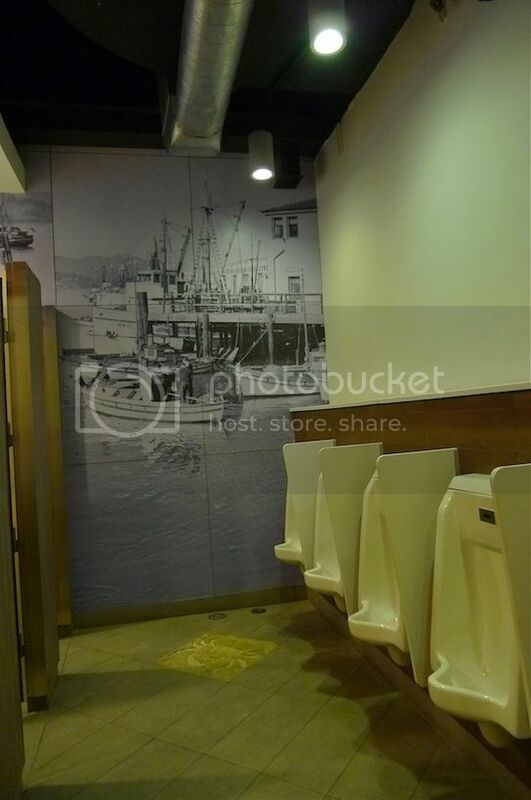 Inside the toilet, there were pictures of ships on the wall. 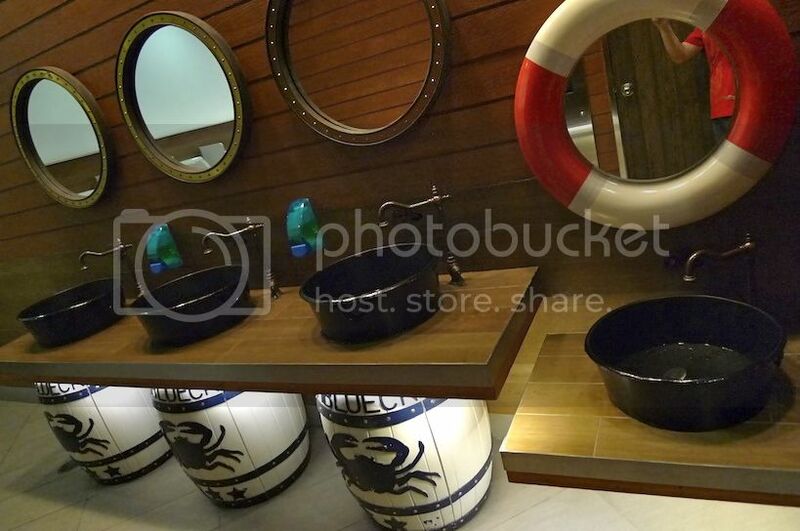 Love the blue crabs below the wash basin and the mirror float! 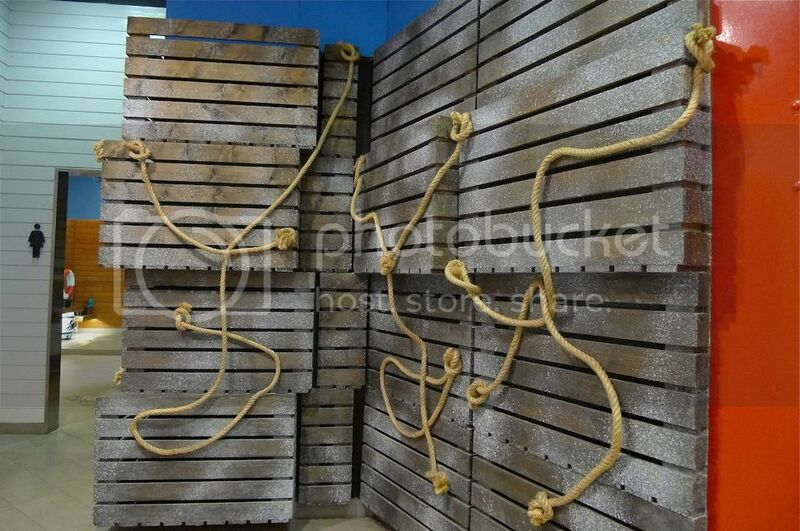 But above us were crabs trapped in the fisherman's net! It was too dark to take pictures of the crabs - I hope you can see them. 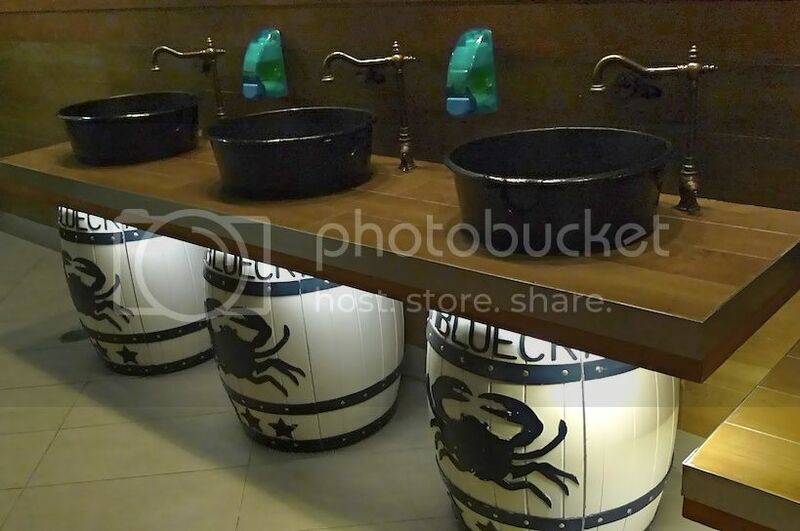 But somehow, I kept imagining about blue crabs inside the toilet bowl! That's scary! LOL! Finally, we reached the highest floor of Terminal 21 shopping mall. 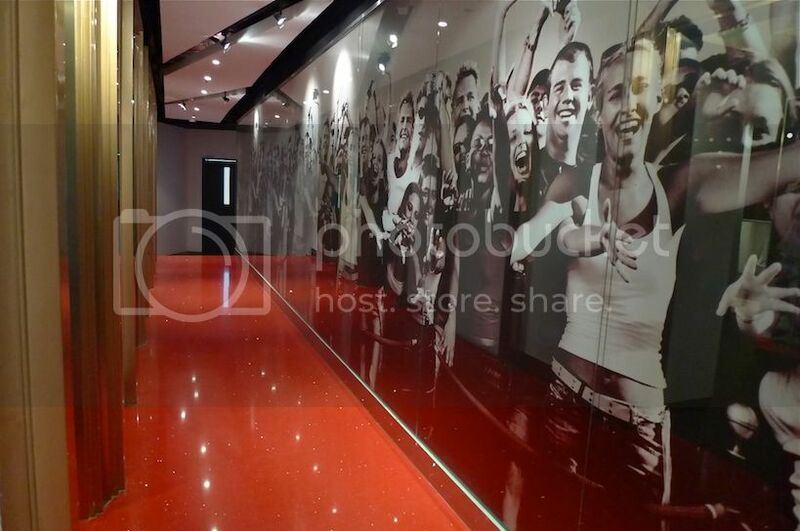 This 6th floor is where the cinema is located and so it's apt to be known as the Hollywood floor. 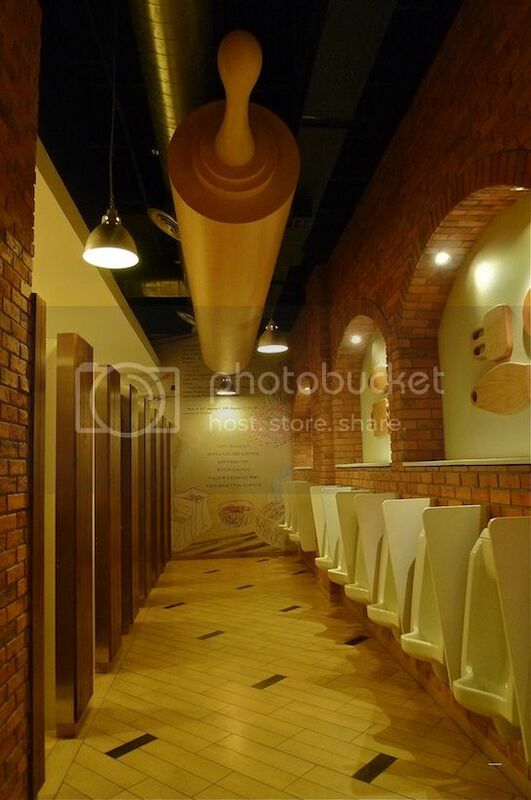 Walking along the corridor leading to the toilet is like walking inside the cinema corridor. 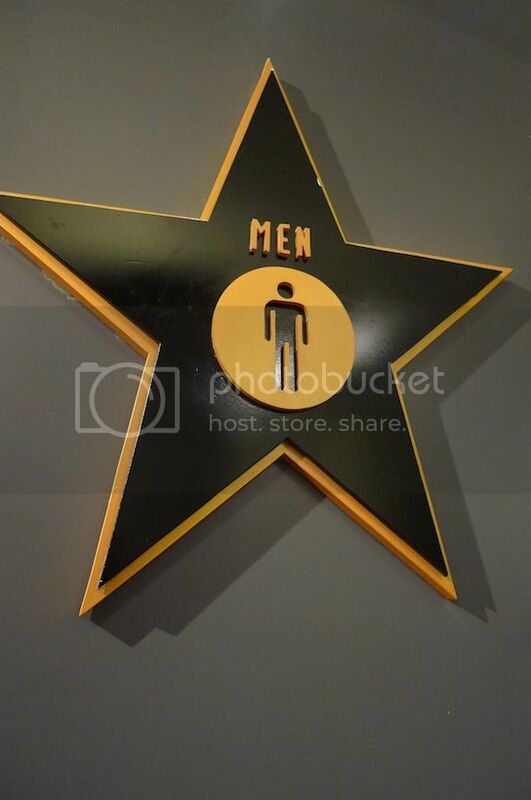 The star-shaped sign outside the men's toilet. 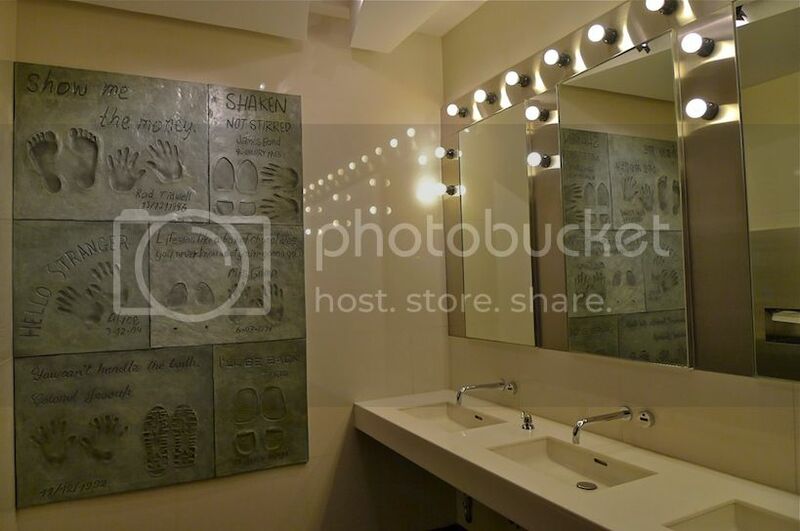 Inside, it was like an actor's changing room. 'Show me the money'. 'Shaken not stirred'. 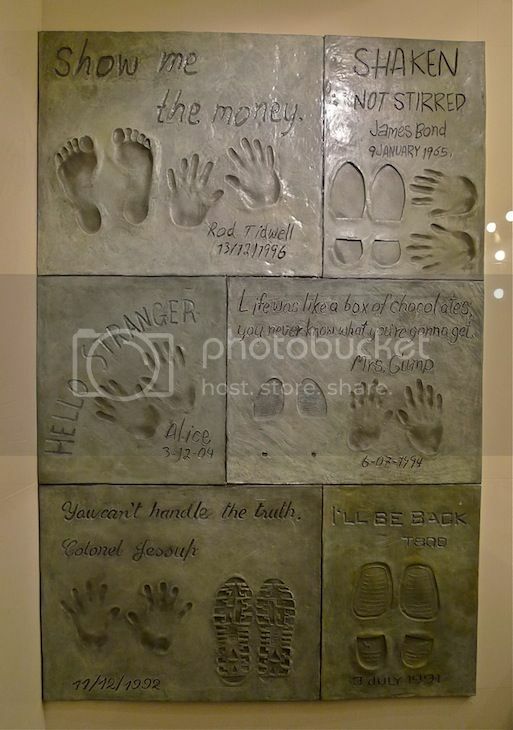 Some of the famous Hollywood movie quotes complete with hand prints and even foot prints as if taken from the Hollywood Walk of Fame. 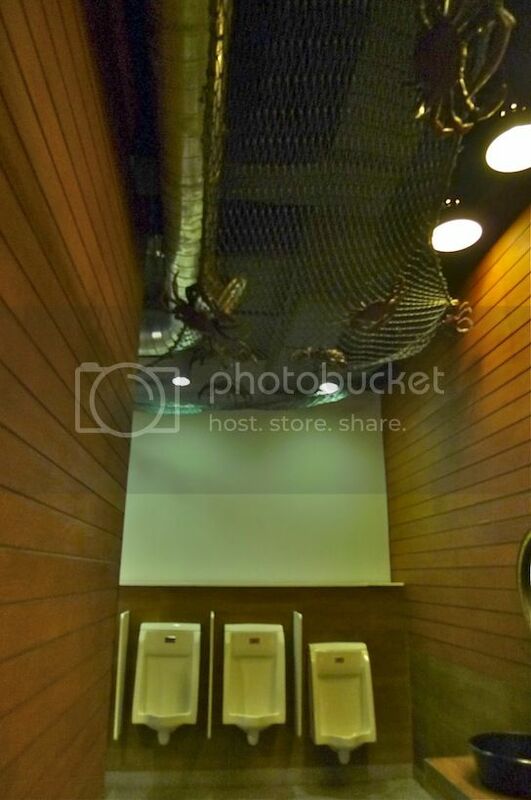 So that wraps up my posts on the awesome toilets of Terminal 21. 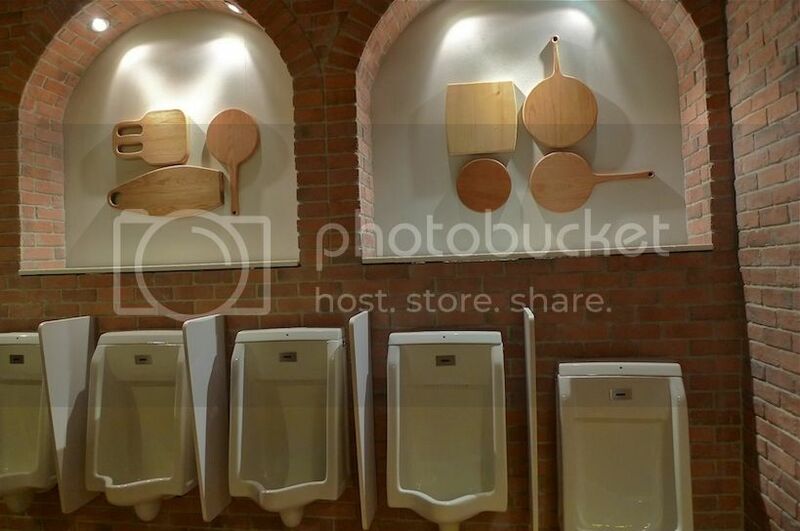 Although the toilets were interesting, there were other equally interesting things to see in every of the 9 floors of this shopping mall. I will share about them in my next post, so don't miss it!